The environment of earth was different in the days of Noah. Not one person had ever experienced rain like that which fell from the sky on the appointed day. 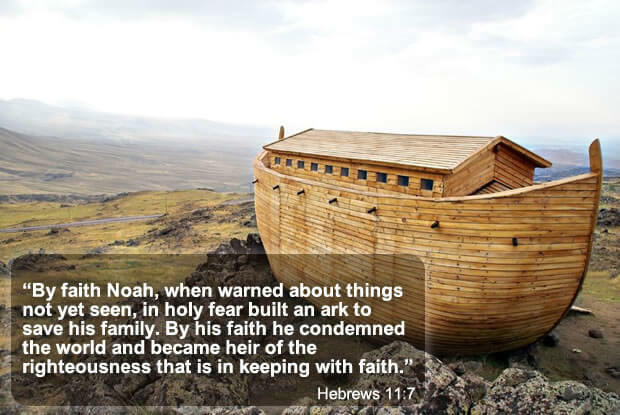 It took real faith on the part of Noah to trust the promises of God that it would rain, the earth would completely flood, and yet him, his family and the mixture of chosen animals would be preserved in the wooden ark. God made a covenant with Noah. Genesis 6:17 “Behold, I, even I am bringing the flood of water upon the earth, to destroy all flesh in which is the breath of life, from under heaven; everything that is on the earth shall perish. Absorbing the audio sermon on Noah’s faith is a truly uplifting experience. Noah was an upright man in the sight of God. Genesis 6:8-9 But Noah found favor in the eyes of the LORD. These are the records of the generations of Noah. Noah was a righteous man, blameless in his time; Noah walked with God. Noah and his immediate family spent many decades building an ark and trying to cultivate believers to save them from the coming promised flood. What they received in payment for their efforts was the scorn and mocking by the masses. But, a stronger faith in God was needed as supernatural events would unfold before their eyes. Genesis 7:7-9 Then Noah and his sons and his wife and his sons’ wives with him entered the ark because of the water of the flood. Of clean animals and animals that are not clean and birds and everything that creeps on the ground, there went into the ark to Noah by twos, male and female, as God had commanded Noah. Animals were brought to the ark in appropriate numbers, and the rain did begin to come down. God’s seal of the ark also sealed the fate of those left behind that were caught up in unrepentant sin and disbelief. As a result, listening to the audio sermon on Noah’s faith is a loving encouragement for you and your entire family. The biblical account of Noah and understanding the level of faith it took to grab hold of God’s promises is what makes it one of the more compelling topics for sermon audios. Completely immerse yourself in the knowledge that God is always faithful to promises and covenants made with his obedient believers. Learn how pertinent the Noahide covenant is to Christianity today by experiencing the audio sermon on Noah’s faith. Discover just how great is our God. Through the telling of the supernatural events of the flood and preservation of eight lives, precious in the sight of God, are still manifested today with each brilliant rainbow displayed in the sky. God’s promises were fulfilled. 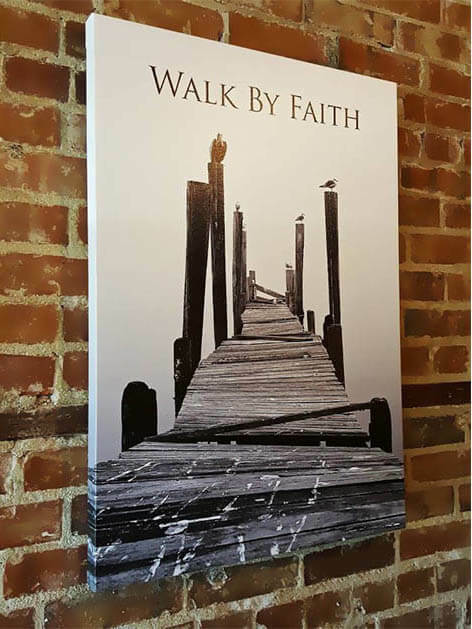 To have faith in God and to walk in obedience help bring about an abiding hope in eternal life with Jesus. Cultivate a deeper appreciation for the promises of God with the audio sermon on Noah’s faith. Filling your available time with faith-building teachings and consistent study of the word will enrich your walk with God. Include the audio sermon on Noah’s faith to keep the promises of God close to your heart at all times. Matthew 24:37-39″For the coming of the Son of Man will be just like the days of Noah. “For as in those days before the flood they were eating and drinking, marrying and giving in marriage, until the day that Noah entered the ark, and they did not understand until the flood came and took them all away; so will the coming of the Son of Man be. In today’s world, giving our heart and life to Jesus is paramount. The prophetic words spoken by the prophets in the bible will come to pass. Now is the time for Christian leadership to really focus on the lost souls. They and we are all precious to God. He created each and every one of us! Find out why youth for Christ is so important. Using Christian social media is a great way to reach them. And, intercessory prayer should be on every Christians agenda. Families are encouraged to watch free Christian movies with their children. This can help instill the values of Jesus ministry in our youth. Find out more information on how to upload sermon audios and video sermons to KNCB.